The coming wave of connected devices presents further challenges to our collective conception of privacy. Blind, mute devices could tell no tales - but when Things monitor you invisibly more and more, how do we feel less vulnerable? How do we bring privacy values along and encode them into the devices? We're just starting to figure out which questions to ask. This webcast will survey some of the near-term challenges to governing our personal data in the emerging IoT. Dr. Gilad Rosner is a researcher and consultant in the fields of privacy and identity management, and the founder of the Internet of Things Privacy Forum. Gilad's work sits at the intersection of technology innovation, business, public policy and standards development. His consultancy and academic research addresses social, technical and economic facets of authentication, trust services, personal data privacy and data use ethics. Gilad advises legislators, public bodies and private institutions on information policy, privacy and data protection. In doing so, he helps his clients to understand how social interests such as privacy adapt and extend within the IoT and the emerging digital identity layer. Gilad is a technologist and manager, having worked in digital media, automation, and telecommunications. He helped design, prototype and manufacture the Emmy award-winning robotic video migration system known as SAMMA. 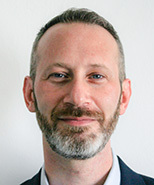 Dr. Rosner holds a bachelor's degree from the University of Chicago, a master's from NYU's Interactive Telecommunications Program, a PhD from the University of Nottingham, and is currently a Visiting Researcher at the Horizon Digital Economy Research Institute. He can be reached via @GiladRosner, @IoTPrivacyForum, and gilad@iotprivacyforum.org.